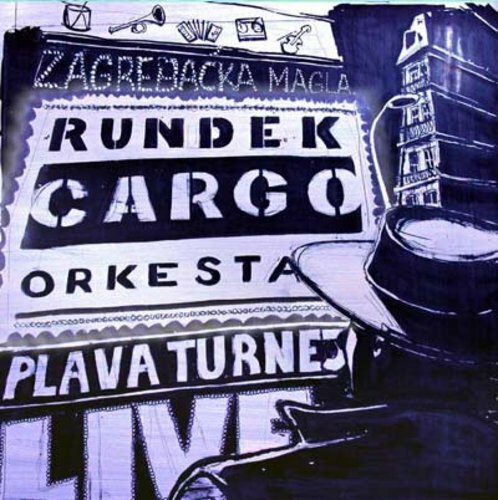 The collection of recordings from Blue tour of five concerts in Zagreb which was bound to show different directions of musical research of Cargo Orkestar. Rundek Cargo Orkestar accepted the challenge of performing in Croatia’s capital of Zagreb, creating different events each day, in collaboration with local video and sound artists and musicians. The opening event was a multimedia happening, “Unload”, consisting of three audio installations and projections by Biljana Tutorov and Nicky Hewitt. This was followed by three differently orientated concerts with guest-musicians, exploring theatrical possibilities. The last two events where Isabel’s concerts of “Sonata and Partite for Solo Violin” by J.S.Bach, performed in the Grand Foyer of the Croatian National Theatre.